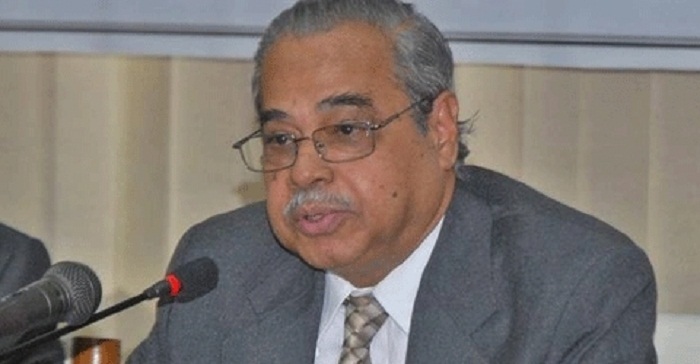 Apparently turning down BNP’s demand, Chief Election Commissioner Kazi Rakibuddin Ahmad on Tuesday said the prevailing situation does not demand the deployment of army for the municipal polls. “The situation for army deployment is yet to appear. We’re observing the situation. The prevailing situation is very good,” he told reporters while leaving his office in the evening. He, however, admitted that they are receiving various allegations of violation of the election code of conduct and taking actions accordingly. Rakibuddin said the returning officers (ROs) are taking action if they find any allegation of irregularities and obstruction. Earlier in the day, a BNP delegation, led by party standing committee member Dr Abdul Moyeen Khan, formally placed its demand to the CEC during a meeting with him at his office. The BNP delegation went to the EC with the demand, a day after party chief Khaleda Zia called for army deployment in the polls.